Severna Park is one of our most requested towns to find a home for our buyers, whether they grew up in the area or are coming from out of town! It’s no wonder people flock to this town as water abounds everywhere being flanked by the Severn River and Magothy River and you’re within close proximity to Baltimore, Annapolis, and Washington D.C. Severna Park has numerous top-rated and Blue Ribbon schools, a brand new Severna Park High School, and easy access to a wealth of shopping, dining, entertainment, and parks such as Kinder Farm Park. Severna Park is a tight knit community with a small town feel and is home to many local businesses. Severna Park was originally referred to as “Boone Station” as a stop along the Baltimore & Annapolis Railroad, which has been converted to the Baltimore Annapolis Trail. 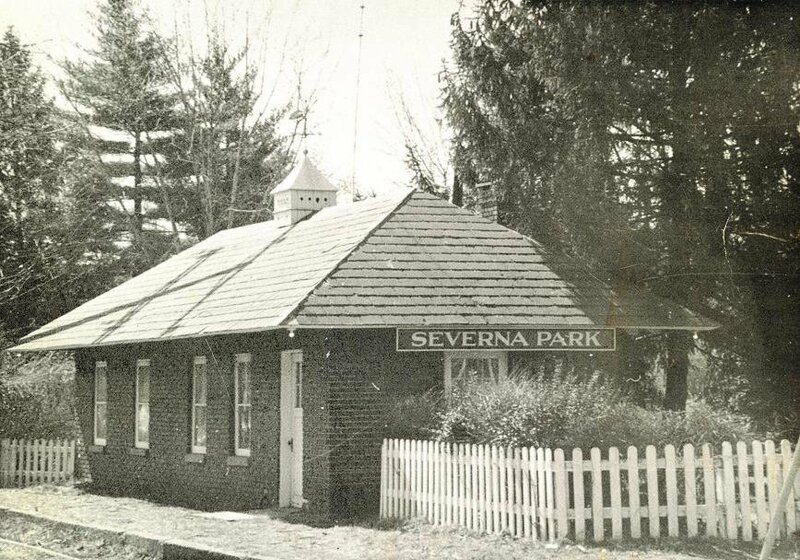 It’s believed that Oscar Hatton, one of the original founders, held a contest in 1906 to name the town which is known today as Severna Park. Long-standing, local businesses unique to Severna Park! The Cottage: opened in 1974 as “Dawson’s Country Cottage” and was located in the Carr Building in Olde Severna Park. Susan Gauthier moved the business to Park Plaza in 1986 and through the years continually re-invented the store and renamed it “The Cottage” in 2006. Clement Hardware: Still family owned to this day, Clement Hardware opened in 1969 by David Clement providing quality products. Diehl’s Produce: In 1971, Doug Diehl parked his truck in Cliff Dawson’s parking lot which is the same spot as where the red and white tent is pitched each season featuring local produce. It’s still run by members of the Diehl family today with a second location in Annapolis. Donut Shack: Started over 30 years ago and still going strong, Donut Shack is a family favorite owned and operated!